Planning for the upcoming holiday season can be time consuming, so we’ve put together a list of the best caterers in Sydney so you have one less thing, and an important one at that, to worry about. From a custom sandwich buffet to Hawaiian style sushi, these caterers are sure to satisfy everyone’s taste and make the food for your party, wedding, function or event memorable. 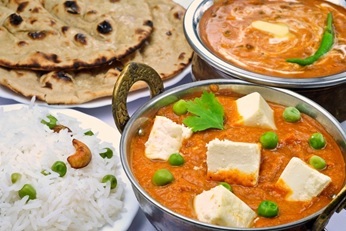 Why not skip the crowds and have popular Indian restaurant Anand deliver the food to you? Established in 2007 and located in the western suburbs, Anand offers delicious vegetarian and meat based Indian cuisine that will make sure your guests live up to the restaurant’s fitting name (Anand means happiness!). With portions generous for its competitive price, standout dishes include the house special chicken tikka masala and the Lamb Rogan Josh, cooked with yoghurt, tomato and spices. Vegetarians will love the colourful Vegetable Jalfrezi. Banquets are also served with authentic rice, pappadams and naan bread. In the mood for a drink? 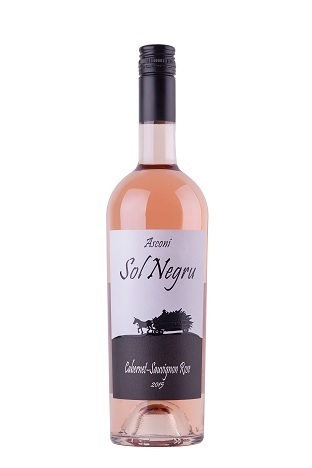 Bnc Anz are importers of Moldovan wine, the finest wine from Eastern Europe. The wines are very drinkable and a great conversation starter, and with only the highest quality wines available good luck trying to convince your guest you only payed $10 for each bottle! For a refreshing drink that will go down well at a summer party, try the Sol Negru chardonnay. Made from crisp apples with an intriguing citrus twist it is unique and something that everyone will love. Based in Melbourne, Bnc Anz offer free fast delivery to Sydney so you can enjoy quality wines at an insanely low price. 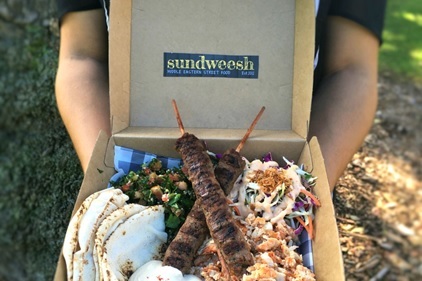 Sundweesh is a Middle Eastern street food truck that takes its popup around Sydney’s many food festivals. It is a particularly unique restaurant that speaks to the experience of many second generation migrants in Australia, with the name of the restaurant coming from how the owner’s father pronounces the word “sandwich” and its specialty in mixing western and Middle Eastern flavours. If you don’t manage to catch the pop-up, Sundweesh also offers catering. A must try is the make your own Sundweesh box, which comes with Lebanese bread and allows you to add your choice of lamb or chicken kafta skewers, tabouli, crunchy slaw hummus and shredded chicken. Sundweesh’s unique buffets definatly adds a twist to the catering experience and it’s something you have to check out to see for yourself. 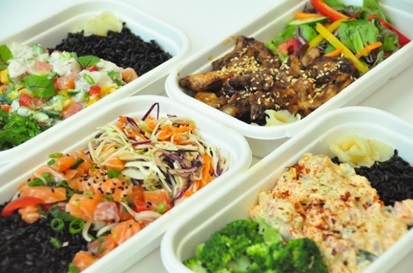 Located in the eastern suburbs, Poke is named after the simple, tasty Hawaiian food that challenges the perception fast food is always unhealthy. Poke, meaning to cut into small pieces, is authentic and captures the freshness of the Hawaiian Islands (think of it as Hawaiian style sushi). Its namesake dish, available as cubed white fish, salmon, tuna, pork or teriyaki chicken sure to make you feel like you’re in the paradise that is Hawaii. Vegetarians can also be a part of the fast food revolution by trying the delicious Edamame bean salad. Located in the inner east, colliers sandwich company pride themselves on making their signature sandwiches from the finest quality produce and their efforts have gained recognition as a finalist in the 2011 Sydney business awards. Collier’s sandwich platters are the perfect finger food for corporate lunches as well as other large events and their high quality ingredients add a touch of class to any function.